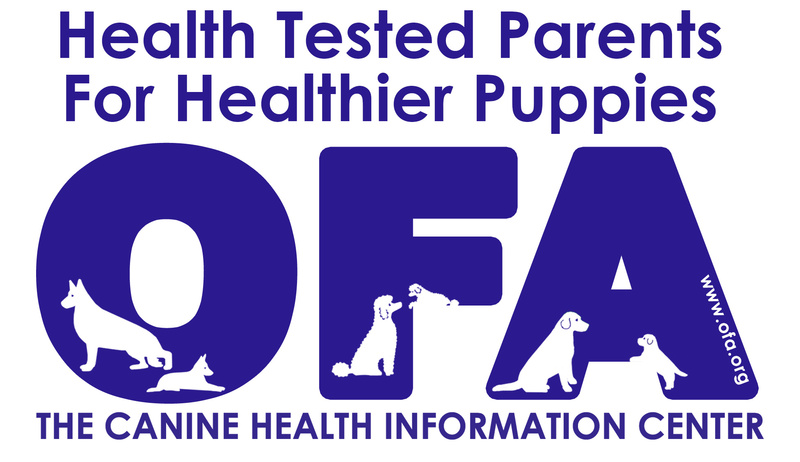 We not only do the standard 4 clearances – Hips, Heart, Eyes & Elbows, which we then have certified through OFA, we also like to do as many clearances as we can on our dogs to be certain that we would produce the highest quality puppies if we decide to use our dogs for breeding. We start with Preliminary OFA Hip & Elbows at 12 months of age. At the same time, we do Dentition, Shoulders, & Patellars. We also have their hearts tested from a Certified Cardiologist. 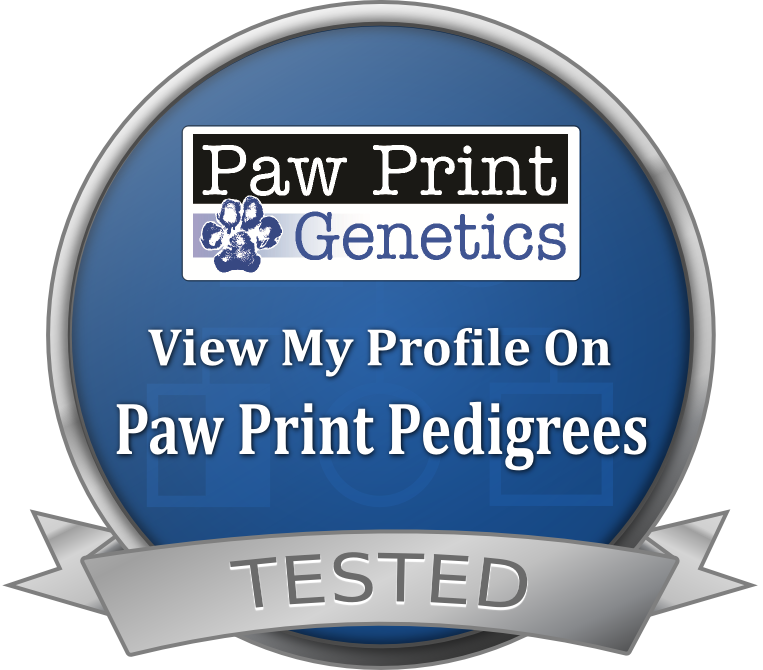 At an early age, we do DNA testing thru Paw Print Genetics, to get results for GR-1, GR-2, PRCD, Ichthyosis, and Degenerative Myelopathy. On a yearly basis, we have their eyes tested from a Board Certified Opthamologist.